Home » Featured » If you are serious about your financial future you should know the ANSWERS to these four questions! If you are serious about your financial future you should know the ANSWERS to these four questions! 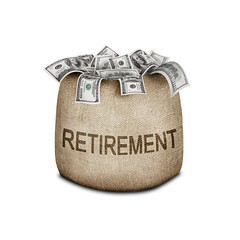 1.What rate of return do you have to earn on your savings and investment dollars to be able to retire at your current standard of living and have your money last through your life expectancy? 2.How much do you need to save on a monthly or annual basis to be able to retire at your current standard of living and your money last till life expectancy? 3.Doing what you are currently doing, how long will you have to work to be able to retire and live your current lifestyle till life expectancy? 4.If you don’t do anything different than you are doing today, how much will you have to reduce your standard of living at retirement for your money to last to your life expectancy? I can give you these answers in less than 10 minutes. When do you want to know? Email Howard@savemoretaxes.com or call 847-243-3600 #101 right now!